ELKHART LAKE, Wisconsin (Aug. 27, 2018) – Fresh from more than a month off, PCA Club Racing Trophy East competitors are returning to PCA’s The Road America Challenge (TRAC) event at Road America in scenic Elkhart Lake, Wisconsin. Trophy East drivers will compete on the iconic 4.048-mile, 14-turn road course, located midway between Milwaukee and Green Bay, over Labor Day weekend, Sept 1-3. 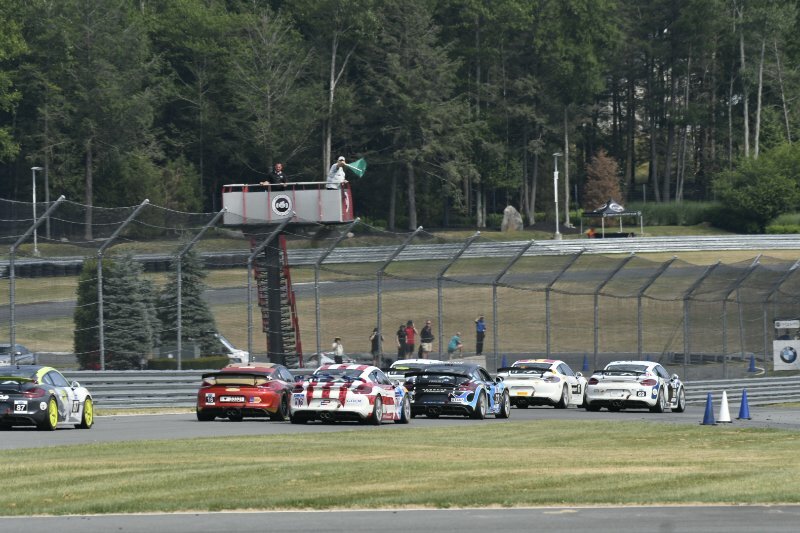 Road America marks the series’ fifth event of the 2018 season. Leading the TE6 class this season is Curt Swearingin, representing the Tennessee PCA Region in the No. 1 ACI Motorsports entry. Swearingin is ahead, 158-89, over SpeedSport Tuning’s Jack McCarthy. Swearingin’s ACI Motorsports teammate, Richard Edge, is currently in third place in the TE6 class with 85 points, just 4 points behind McCarthy. In the TE4CS class, NOLAsport’s Alejandro Galindo continues to lead the class with 147 points. Galindo won both sprints in the TE4CS class at Monticello Motor Club in mid-July. ACI Motorsports’ Efrin Castro is currently second in the TE4CS class with 115 points, and BGB Motorsports’ Tom Collingwood has advanced to third place with 88 points following the series’ last event in Monticello, New York. In the TE6 Masters class, Pierce Racing Development’s Gary Jensen continues to lead with TOPP Racing’s Ken Finch in second place. NOLAsport’s John Crosby has continued his winning streak from the past three races – sitting in first place in the TE4CS Masters class with 153 points. Autometric Motorsports’ Charlie Craig is in second with 124 points and Hairy Dog Garage’s David Peterman is in third with 46 points. There will be two practice sessions and a qualifying session on Saturday, Sept. 1. The 5 p.m. qualifying session will set the grid for the first 30-minute sprint race, which starts at 2 p.m. on Sunday, Sept. 2. The second 30-minute sprint follows at 5 p.m. The 80-minute endurance race will start at 11 a.m. on Labor Day – Monday, Sept. 3.